Looking to be inspired, challenged and rejuvenated? Then it’s time for a real adventure. There are travelers who want more—who want to immerse themselves in local customs and culture and return home changed by their experiences. Pravassa is a company that specializes in these kinds of tours. From lush rice fields to black sand beaches, there is no place on the Earth quite like Bali. It’s a land of ancient temples and unique cultural celebrations; an Island of the Gods; and an oasis of serenity, culture, art and tradition set among the islands of Indonesia. From the minute you step off the plane, you’re bathed in the scent of clove, frangipani, and incense. Time spent here is transcendental. If you’re looking to experience the island in its purest form, Pravassa takes small groups of travelers on a unique tour interweaving stories of Hindu Dharma into the daily wellness practice of yoga and meditation, expertly balancing organized and free time. Bicycle through rice fields. Hike up Mt. Batur at sunrise. Soak in the healing waters of the Tirta Empul Temple. Take in a Temple Blessing and Full Moon Festival Ceremony. Return to nature as you explore Bali Barat National Park, or relax on Balian Beach and dig your feet in the sand. 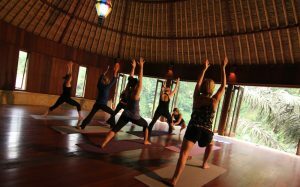 Bali is a place of beautiful and welcoming release, and Pravassa is your perfect guide to it. India is a culturally rich country full of wonder. Romantic, heart-warming and vibrantly colorful, it welcomes you with open arms and challenges you to change your perspective of the world. Pravassa starts in Mumbai, a metropolis of 25 million people that can be overwhelming and inspiring at the same time. 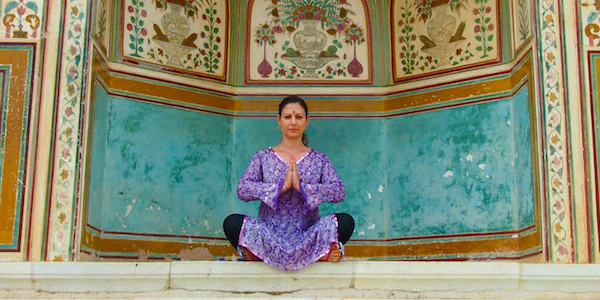 Pravassa offers the full Indian experience, including a tour of Underground Mumbai, a guided Gandhi Tour, a fishing village visit, local yoga and an authentic Bollywood dance class. From there, you’ll travel to the Pink City (Jaipur), the Blue City (Jodhpur) and the Lake City (Udaipur) of brilliant bazaars where nomadic tribes reside. Meet local artisans who have honed their crafts for centuries and who live on medieval streets in the shadow of the great kings. Highlights include a wildlife safari, dinner with a local family and a Sanskrit scholar guide. Next, comes Kerala, with lush landscapes made up of tea and cardamom farms, backwater fishing villages, and Ayurveda treatments on the shores of sandY beaches. Southern India is paradise and not at all what you picture when you imagine India. A visit unto itself is the soul city of Varanasi. Immerse yourself with life on the Ganges and explore Saṃsāra—the cycle of birth, life, and reincarnation. Here Pravassa will take you to Kasha Moksha, where you can gain understand of Hindu families final living rituals, take in evening invocations, and seek wisdom on a Buddhist Scholar tour of Sarnath. Roadside noodle joints and dusty rickshaw rides are at the raw beating heart of Thailand, while the country’s Royal Palaces and opulent temples elevate the soul. Spend time exploring tiny mountain towns, making your way through the crammed alleys of Bangkok or blissing out on sandy beaches. Bangkok changes at an alarming rate, but by preserving its religious history, there is room for contemplation. Pravassa’s tour begins with an early morning ritual of feeding the monks and end in the famed floating markets. Experience the Buddhist Enlightenment tour, Thai massage, Muay Thai lessons and bicycle day trips. Chiang Mai is a natural wonderland surrounded by mountains and rivers. It remains a modern example of how traditional values can co-exist alongside modern conveniences. 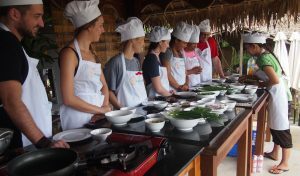 Visit an Elephant Rehab sanctuary and take a healthy Thai cooking class. Of course, there is also plenty of massage and local yoga. Next come the islands—from well-known spots like Phuket to hidden oases in the Andaman Sea, choose between local flavor and retreat chic for your next beach holiday. Explore underwater caves and do some snorkeling or Mangrove kayaking. And of course, make time for local yoga and another Thai massage. A myriad of ancient cultures joined together to create this rich, dense and energetic country. Come for a food tour of delicacies and stay for a cooking class. Spend time splashing in the warm sea and wake early the next morning to join a fishing expedition. Learn about the ancient trade routes, and then sleep with a hill tribe. From swarming motorbikes to tropical beaches, to native tribes, this Southeast Asian nation has something for everyone. In Hanoi, you can enjoy tranquil lakes and French architecture. Pack your walking shoes because exploring on foot is the best way to discover hidden Hanoi. Escape the crowds and travel to Halong Bay, where the limestone rocks jut out of the jade sea, engulfing you in nature. Begin with morning Tai-Chi and experience Water Puppet theater and kayaking in the Bay. Picturesque tailor shops and bicycles piled high will delight you as you stroll the UNESCO World Heritage town of Hoi An. 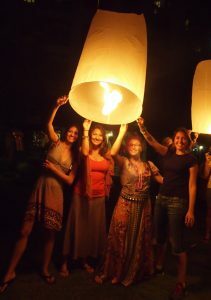 Take a lantern-making class or a cooking class and let your creative spirit out to play. Uncover the past in Hue as a University Professor guides you from the ancient dynasties through the Vietnam War. Bike through rice fields, and enjoy the Salt Rice Feast or an overnight in a tribal village.